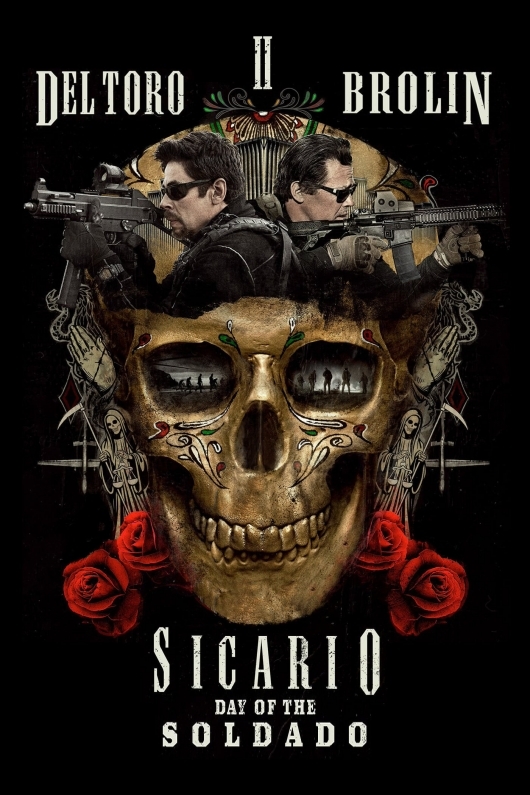 Scarcely altering its attitude and tone, Sicario 2: Day of the Soldado, helmed by Italian director Stefano Sollima and written by Tyler Sheridan (who also scripted the first film), is indeed infatuated with raising certain scenes to maddening heights and keeping them there, somehow sustaining the tension throughout. This confinement to apprehension is what made the first Sicario unshakeable. There seems to be a lack of that sense of foreboding in the sequel, and that could be due to missing out on the vision of director Denis Villeneuve and cinematographer Roger Deakins, the two talents from the first film. Also missing is the actress Emily Blunt, the only character in the first film who had a conscience. Still, not shying away from explicit violence is where the sequel finds its muscle. The opening moments of Sicario 2 portray extreme violent acts. It’s the film’s main intent to lower us to the depths of hell for us to have a peek. The first scene involves migrants attempting to cross the United States boarder from Mexico. They are soon apprehended by law enforcement. One of them is a Jihadist terrorist, who, prior to being captured, sets off a bomb, killing himself and those around him. Following this scene, we are shown a supermarket in Kansas City. Three terrorists enter casually, placing themselves strategically around the store before each of them detonates a bomb. This is crazy, bold, and big-time filmmaking from Mr. Sollima, who’s making his American directing debut with a difficult topic that’s sure to divide audiences with its subject matter. The multiple storylines that Sheridan pens (he seems to have a wealth of narratives left to explore) and that Sollima tries handling are enormous ones that are of the moment and couldn’t be more timely. But there is a bit too much here (especially the narrative involving a 16-year-old boy), and unable to fully develop some storylines leave them somewhat unrealized and deflated. Once the two aforementioned acts occur, it’s only a matter of time that CIA operative Matt Graver (Josh Brolin) gets called in. The enjoyment he finds in interrogating prisoners is what has propelled him to the top. First seen in cargo shorts and an unkempt beard, Mr. Graver is questioning (if you could call it that) a suspect involved with the terrorist bombings in Kansas City. Once he finds out who is behind it, he then sets out to assemble his team and go after Carlos Reyes, a huge cartel kingpin who not only may have ties to smuggling in terrorists across the boarder. Alejandro (Benicio Del Toro), Graver’s go-to sicario (hitman) and friend, is summoned. The two of them, along with their team and some higher ranking officials (played by Catherine Keener and Matthew Modine), devise a classified plan to capture the daughter (Isabela Moner) of Reyes, hoping to make it look like another gang is doing it so the two gangs could begin a war with each other. As Alejandro (Del Toro giving a haunting performance as an emotionally wounded hitman) and Graver move forward with their plan, they encounter more forces attempting to thwart their doings. Just when we assume they’re in the clear, catastrophe strikes again. There are a couple of intense scenes involving a shootout between corrupt authorities, two Black Hawk helicopters chasing down an SUV on a highway, and a ruthless initiation kill watched by dozens of people. This is the kind of brutality Sicario 2 depicts. It wants us to get a glimpse of what individuals are exposed to as each side firmly believes they’re doing the right thing. 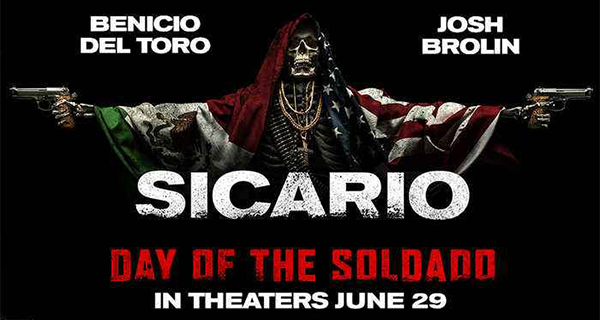 Boiling it all down, Sicario: Day Of The Soldado is morally ambiguous as it tries to derive some meaning behind why people in positions of power (either political positions or those in the cartel) commit acts that they truly believe are good. When the film encounters its many narratives with this mindset you then begin to see that it wants to understand our current world. It’s an ambitious task to pursue and it would completely succeed if it were to contemplate all this senseless violence rather than, despite how artfully it’s done, simply display it.